Fee: $55.00 Lunch will be provided. 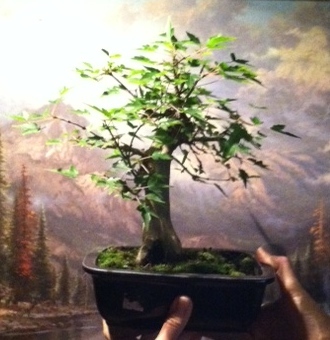 Trident Maples are Tom’s specialty! Join us at Plant City Bonsai in this informative workshop. He will teach his technique of growing tridents with taper and proper branching without having unsightly cutback scars. Each person attending will leave with a lot of knowledge and a small starter seedling prepared for its future growth. Bring a tree from your own collection for Tom’s expert advice to further your tree’s growth in the best possible direction. Mark Issenberg , a talented potter of elegant rustic pottery, will also be here this day with some of his unique pottery for sale.